1.1 Statement of Intent. 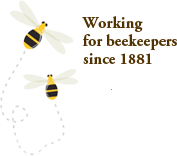 The Ontario Beekeeper’s Association (OBA) respects and upholds an individual’s right to privacy and to protection of his or her personal information. This Policy applies to all visitors to websites belonging to the OBA. 1.2 Personal Information. “Personal information” is personally identifiable information such as your name, residential address and email address and includes information about any services or products you may subscribe for or acquire from the OBA, credit card information and billing records. The OBA collects personal Information only when you, as a visitor to our websites, specifically and knowingly choose to provide it to us. Publicly available information, such as a directory listing of your name, address, telephone number and electronic address is not considered personal information. 2.1 Non-Personal Information. When you browse through our web sites, you do so anonymously. The OBA does not collect personal information about you unless you voluntarily provide it to us by interacting with our sites or submitting an inquiry to us. Our servers automatically log information about visits to our websites in the normal course of establishing and maintaining web connections. The server logs record statistical information, such as visitors’ IP addresses, time and duration of visit, and websites visited. We collect this information so that we may continuously improve our website content. These statistics are reported in aggregate form only. We do not link server log information to any other data in a way that would enable us to identify individual visitors. 2.2 Submitting Inquiries. You may submit an inquiry to us through the “Contact Us” portion of our websites. We may ask for certain personal information such as your name, e-mail address, and so on in order to enable us to respond to your inquiries in as thorough a manner as possible. 2.3 Purposes for Collection, Use, and Disclosure. If you do provide us with personal information, the OBA will use the personal information to communicate with you and provide you with requested information. We may also use personal information to provide you with more information related to our services and organization. 2.4 Consent. The provision of personal information by a visitor to our web sites constitutes consent for the OBA to collect, use, and disclose personal information for the purposes stated in this Policy. You may also withdraw your consent to any further collection, use or disclosure of personal information that you may have provided at any time by giving OBA prior reasonable notice. 2.5 Release of Personal Information. Unless you specifically authorize the OBA to release your personal information, or release is required or permitted by law, the OBA will not sell, lease or trade your personal information to other third parties. Anonymous or “non-personal” information gathered by the OBA through your use of our web sites may be used for technical, research and analytical purposes. We do not use or disclose personal information for any purposes other than those for which it was collected, except with your consent or as required by law. Personal information is retained only as long as is necessary for the fulfillment of the purposes for which it was collected, or as required by law. 2.6 Accuracy. The OBA will make all reasonable efforts to ensure that personal information is as accurate, complete, and current as required for the purposes for which it was collected. If you find any inaccuracies in our information, please inform us and we will make the appropriate corrections promptly. 3.2 Security. Our websites have industry standard security measures in place to protect the loss, misuse and alteration of the information under our control. While there is no such thing as “perfect security” on the Internet, the OBA will take all reasonable steps to ensure the safety of your personal information. 3.3 Links to Other Web Sites. Our websites may contain links to other websites. The OBA is not responsible for the privacy practices or the content of such other web sites and expressly disclaims all liability associated with your use of and the content of such other sites. Telephone: 905-636-0661. Mailing address: 8560 Tremaine Road, Box 476, Milton, ON L9T 4Z1. 4.2 Access. You have the right to access your personal information under the control of the OBA upon request in writing to the Business Manager at the address listed above, you will be informed of the existence, use, and disclosure of your personal information and you will be given access to that information. Except in limited circumstances, as specifically provided by applicable privacy legislation, The OBA can tell you whether we hold personal information about you. The OBA will only refuse access to information about you in those circumstances permitted or required by applicable privacy legislation. If the OBA refuses access to you, reasons for such refusal will be provided. Exceptions may include information that contains references to other individuals or information that cannot be disclosed for legal or security reasons.